There’s no doubt that even in 2018 email product marketing still reigns supreme. That’s good news for those sellers who have an established email marketing strategy that works well and brings in steady revenue. But everyone should remember that using just one tool to reach your audience means you only speak to a fraction of your potential buyers. That’s why business owners should constantly be on the lookout for new ways to find customers, capture their attention, and make those sales numbers go up. To help you out, in this blog post I’ll look at 10 eCommerce product marketing tricks that you should definitely have up your sleeve. When used smartly, they can become a tool to reach new audiences, expand your business, and get more sales. When a customer decides to make a purchase in your store, the hardest part of your job is already done – you’ve created an appealing product, marketed it effectively, and found someone who needs it. But what if there’s something in your store that might make your customer even happier, and they just haven’t noticed it? This is where upselling comes in! Upselling is a sales technique where you offer your customers a comparable higher-end product that will suit their needs better. In order for upselling to work, you have to know your products or services inside out. Only then you’ll be able to make helpful suggestions to your customers. After all, you should never forget the age-old adage – the customer comes first. Make sure that your suggestion is a useful upgrade that would make the customer experience better. That way customer will actually go for the upgrade and become a loyal client. Take a look at how the digital music service Spotify does it. Spotify has a free plan with limited features and a premium version. The trick here is to show both types of the same product in a simple, easy-to-understand manner, so customers immediately see the gain from paying for premium. To encourage customers who are still in doubt and have opted for the free version, there’s a premium trial version for $0.99 per month. Of course, upselling applies not only to services but also to products. For example, you can add a recommended product bar at some point in the checkout journey. Or if the customer is ready to buy a t-shirt, offer one that’s of more premium quality, or simply give 20% off if they buy two. So take a look at your products and see what you can offer as an upsell! Convincing a customer to make a purchase can sometimes be the most difficult part of the whole process. Once they’ve committed to buying from your store, it’s the perfect opportunity to offer them something extra with the help of cross-selling. While upselling deals with alternative premium products, cross-selling means presenting your customers with additional items that satisfy complementary needs your customers might have. eCommerce businesses have been using cross-selling for some time now, and it works! In fact, “For Entrepreneurs” found out that it can be up to 68% less expensive to cross-sell (or upsell) to an existing customer than to try and convert new buyers. So in the long run cross-selling can save you some precious marketing budget money. Let’s take a look at how Amazon uses cross-selling to drive more sales. When you add an iPad to your Amazon shopping cart, this field appears. Showing items that are frequently bought together with the iPad is a clever way to cross-sell since all of them might come in handy to an owner of a new iPad. Getting a case might not have crossed the buyers’ minds when picking the tablet, but seeing the case right in front of their eyes will make them at least consider buying it. And if they don’t – no harm done! The key to cross-selling is offering something your customers could find useful or attractive. So resist the need suggest items that aren’t selling well, and highlight complementary products. People are easily distracted. A phone call, a new Instagram notification, or simply an overpowering need to take a nap… there are about a billion reasons why customers put an item in their cart, but stop just short of pressing the all-important ‘Confirm Purchase’ button. Luckily, there are tools that can help you with targeting customers who have abandoned their carts. For example, there’s X-Cart’s Abandoned Cart Reminder. It allows you to set up automatic emails, one-click recovery for customers, discount notifications add-on, and the option to track collected revenue to see how sending the notifications impacts your bottom line. So whenever a customer gets distracted from making a purchase, you have the option to get in touch with them and give a little nudge towards buying the amazing items they have left in their carts. Besides, with abandoned cart emails averaging a 45% open rate and 21% click-through rate they’re worth a try. 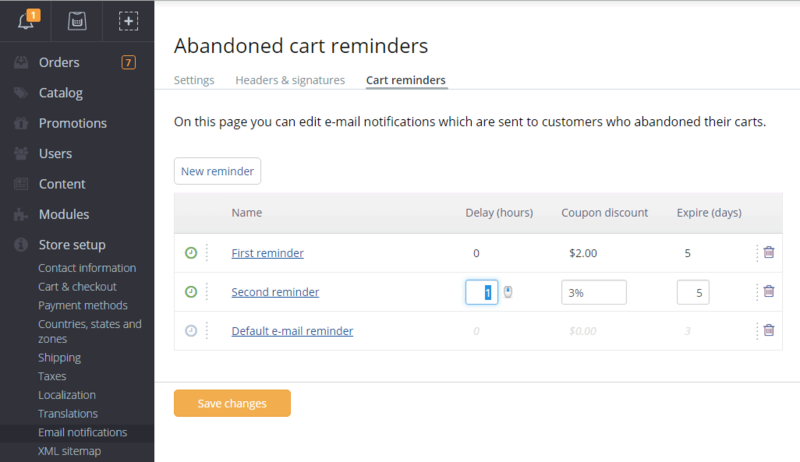 Take a look at how many abandoned carts your store has, and send out abandoned cart emails to see if it solves the problem! You may already have the perfect website filled with quality products, but your store’s potential might stay unfulfilled if you don’t get the word out. And simply having a Facebook page or a Twitter account isn’t enough – you have to be active and create engaging content that generates traffic. Social media is a big branch of marketing that’s becoming more important by the day. Some time ago it was enough that you had social media accounts and made things up as you went along. But now you need a social media strategy that’s tailor-made for your customers’ needs. So where to start? As with a lot of things, research is the way to go. Define your target audience, and find out what social media platforms they use. While Facebook works for most customers, there are some less popular platforms that could be right up your alley and yield better results. For example, if you sell custom-made jewelry, consider creating a Pinterest account to showcase your pieces to 175 million monthly users. Since there are so many social media platforms, it’s OK if you don’t have a presence on all of them. It’s better to pay more attention to the ones that matter to your audience. So when you’ve determined what works for you, set goals and get out there to create fun, engaging content. And don’t forget to show your social media activities on your store as well! Add social sharing buttons, feature tweets, or show Facebook reviews from your customers. There are lots of options, so make sure you find what suits your needs best. You have all your social media platforms up and running, but you’re still struggling to attract people to your brand? Influencers might be the answer! Social media influencers are social media users who have established credibility in a specific field. Basically, good influencers are a brand on their own, since they have a loyal following that trusts their opinion. Influencers usually have an above-average number of followers with whom they actively engage on a daily basis. And influencer marketing can be quite effective. 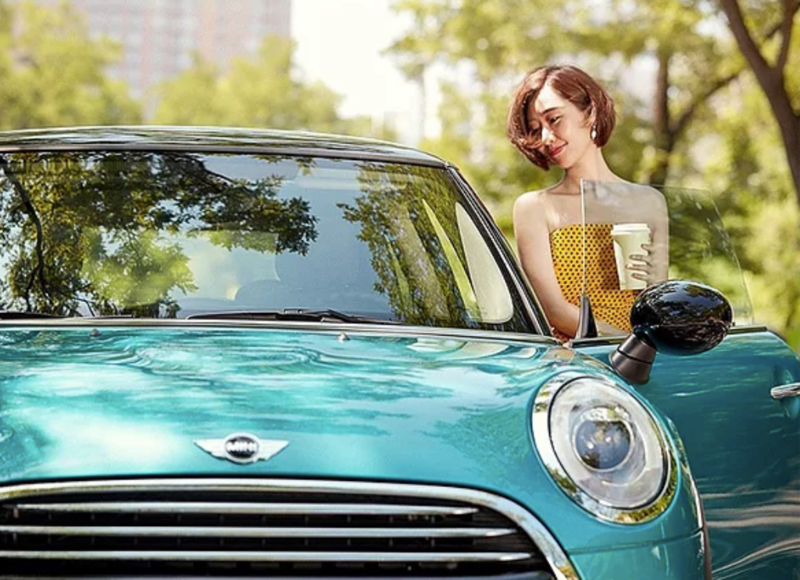 For example, in China, Becky Li’s social media posts managed to help Mini Cooper sell 100 limited edition Mini Coopers Yours in less than 4 minutes. Of course, influencer marketing can get costly. While Mini Cooper could afford it (and got a good return on their investment), most eCommerce sellers need to start smaller. You don’t necessarily have to hire one of the big names, but you might be able to get even more return by choosing micro-influencers, who have fewer followers, but a bigger engagement rate with their audience. Remember that influencer marketing is a relatively new area, so don’t be afraid to look for help. Start with actionable blog posts and go from there! Whenever you have a good thing going with some of your customers, try building on the relationship by implementing an affiliate program (also called an associate or partner program). This way customers who have already love product can help spread the word and attract new leads. How does an affiliate program work? Basically, your long-term customers who know and use your products or services recommend them to others, and you reward them with a commission for every referral. Each affiliate usually has a unique link that they can share on their social media accounts, blogs, etc. And with the help of various software tools you can keep track of how many affiliates you have, and manage the finances. Take a look at the print-on-demand drop shipping and warehousing service Printful, whose affiliate program invites customers to become their ambassadors. An affiliate program is a good option to consider because long-term customers might already be in the mindset to offer your product or services to others – after all, they’ve tested it and decided to stick with you. With an affiliate program, you simply offer the incentive for them to start talking more about your business. With the dynamic rhythm of our everyday lives, customers are used to having an honest opinion that they can easily access. Can you even remember a time when you ordered a product online without reading a review first? If you’re worried about negative reviews affecting your sales, don’t be. Getting only 5-star reviews is not the best thing for your business. The reason behind this is that people can be skeptical. After all, we all know that nothing is perfect, so products with only positive reviews are simply too good to be true. But don’t forget that social proof doesn’t mean only reviews. You can also show your customers that other buyers have already trusted you and bought a product. Case in point, online book seller Book Depository shows a map on their website where you can see in real time where the latest purchases have been made. So be it a map, a review, or a photo of a happy customer, display social proof wherever you can! And don’t be too sad if someone’s honest opinion lowers your rating a little! Think of it as an opportunity to wow the customer with excellent customer service – get in touch, find out what went wrong, and try to solve the problem, if possible. The customer might even edit the review to reflect your hard work! Finding new ways to be in touch with your customer can give you the edge over your competitors. Tumblr, Reddit, Quora and other community sites are full with people who are open to new experiences and might become your customers. 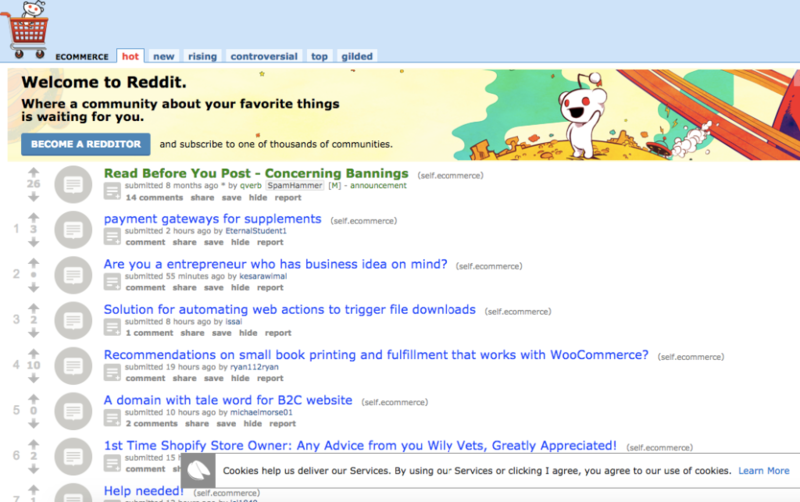 For example, the eCommerce subreddit on Reddit has more than 23,000 readers. Not only is it a great place to seek advice on how to run your store, it’s also a platform for sharing your own experience. However, you have to be careful when it comes to speaking about your own products or services. This rule concerns not only Reddit but all kinds of community pages. If you only use the channel to plug your products, you won’t get any results, and you might even get banned from the forum altogether. Also, be selective about the channels you use. It takes a lot of time to build up your credibility, foster relationships and be as present as you can. For example, if you sell t-shirts to business people over 40, Reddit is probably not the best place where to invest your time, since their main audience consists of young men between the ages of 18 and 29. So find the communities that share your interests and values, and then start building relationships that might result in some long-term customers who trust you and your products! Paid advertising is a good way to drive more traffic to your site. But since it requires some financial investment, you should be careful before jumping in. Again, the first step is to do your research. Find out all about the different paid channel pricing models (e.g., Cost-Per-Thousand, Pay-Per-Click, Cost-Per-Acquisition), and think of what you want to achieve with paid advertising. For example, you’ve noticed that the traffic on your store is good, but no sales come through. Why not try retargeting ads? Retargeting ads are shown to people who have already been on your website after they have left your website. In this case, you’re just reminding users about something they were already interested in. And it works! The average click-through rate for banner ads is 0.07 percent, while for retargeted display ads it’s 0.7 percent. Just don’t forget that in most cases paid advertising is a good way to drive traffic to your store and make people interested. But only your products and the user experience on your website can keep the sales coming even when the ads stop! We’re long past the days of giving out flyers or putting up posters, but when the digital world is simply not enough, you can always turn back to the good old offline product marketing. It might seem counterintuitive for eCommerce business owners, but the truth is that very little can actually replace human-to-human interaction. That’s why from time to time it’s actually useful to participate in real-life events to boost your profile. For example, you can take part in a local fair, or join a networking event for small business owners. 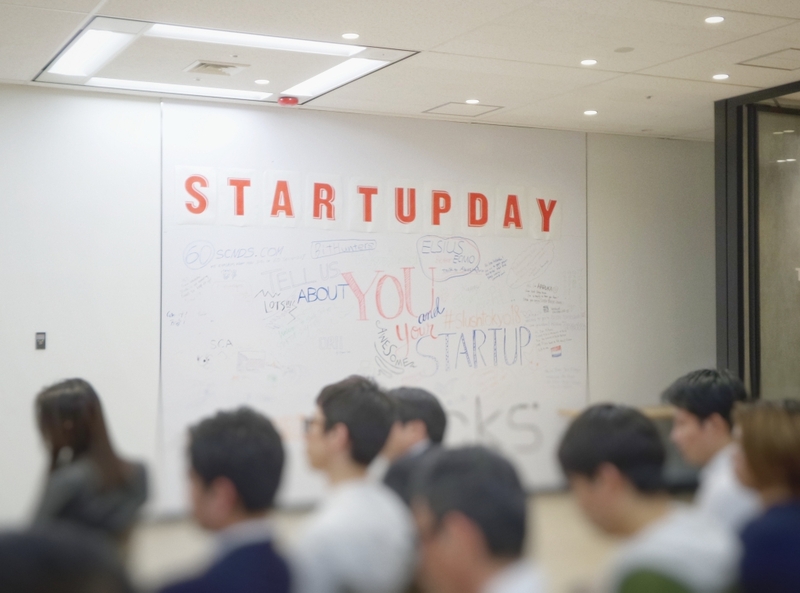 Such events can lead not only to useful connections who can share their experience in building a business but can also let you be discovered by locals, who, in turn, could generate more sales and help you with word-of-mouth marketing. So don’t underestimate what the real world has to offer to your eCommerce business, and join in wherever you can! All these product marketing tricks and tips might seem a lot, but they’re well worth exploring. Ideally, your sales and product marketing channels should work hand in hand to achieve the biggest impact. So make time to come up with an eCommerce strategy that works for you, find the tools to help you grow, and get started as soon as you can!